One of our oldest designs, T-5 focuses on a group of adorable penguins. 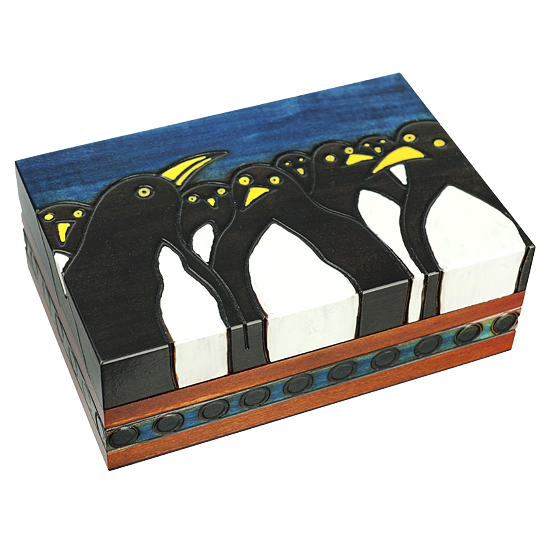 The penguin bodies are stained with an application of black ink stain with white & yellow acrylic paint accents for the eyes, beak, and tummies that gives this unique wooden box a 3-dimensional appearance. An EWB original.